Your TCF Gift Guide Style Picks in Sizes 3X and Up! Give a gift your fashionable friends over a size 3X will love this year with our gift guide full of cozy and chic options. Fashion choices during the holidays can be a little extreme. For example, we can be glam in sequins and feathers for a holiday cocktail party one day but then spend the next two days curled up in our robes on the couch drinking hot chocolate. Both of these can be fun. 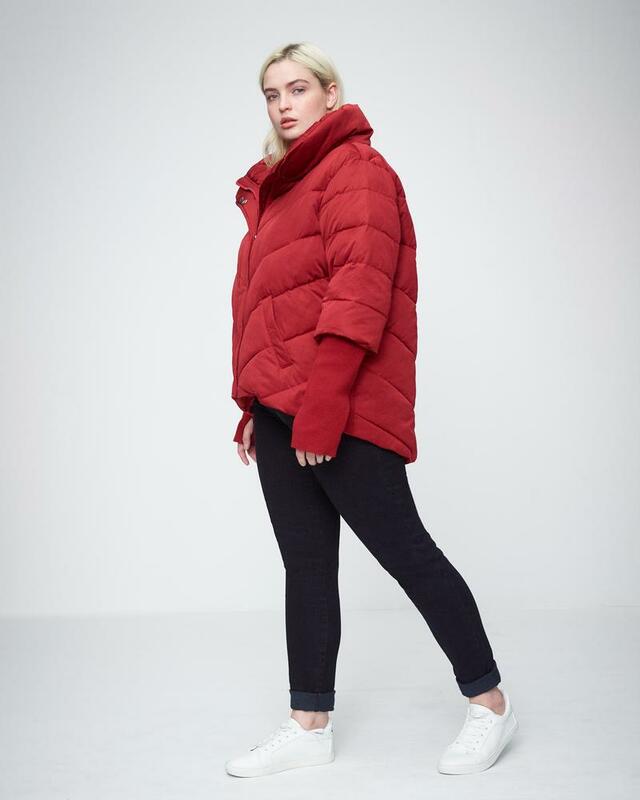 However, for those of us over size 3X, it can be difficult to find great options in our size regardless of our style of choice. 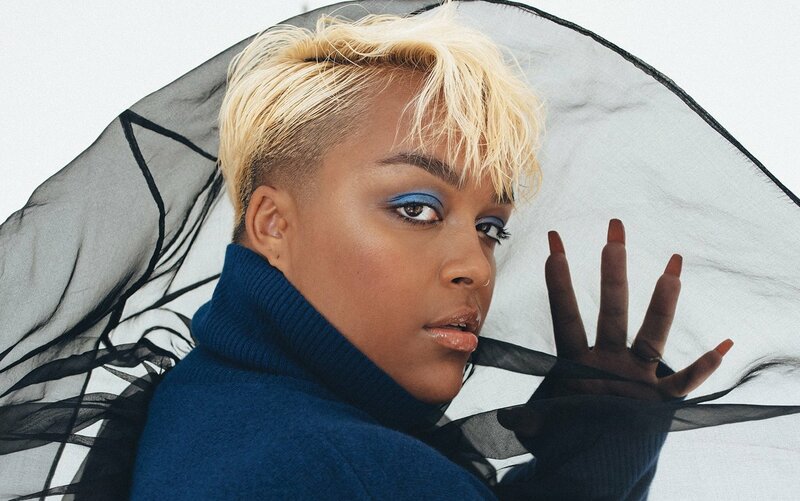 If there’s a fashionista in your life who is larger than a size 3X, this gift guide is for you. You can find something cozy or chic on the list in a size 14 or a size 40. If the babe on your shopping list is you, treat yourself! Or you can always share this post with your loved ones with not-so-subtle hints about which pieces you love! Are you shopping for the social butterfly who is a regular on the holiday party scene? If so, check out these festive, chic gift options. 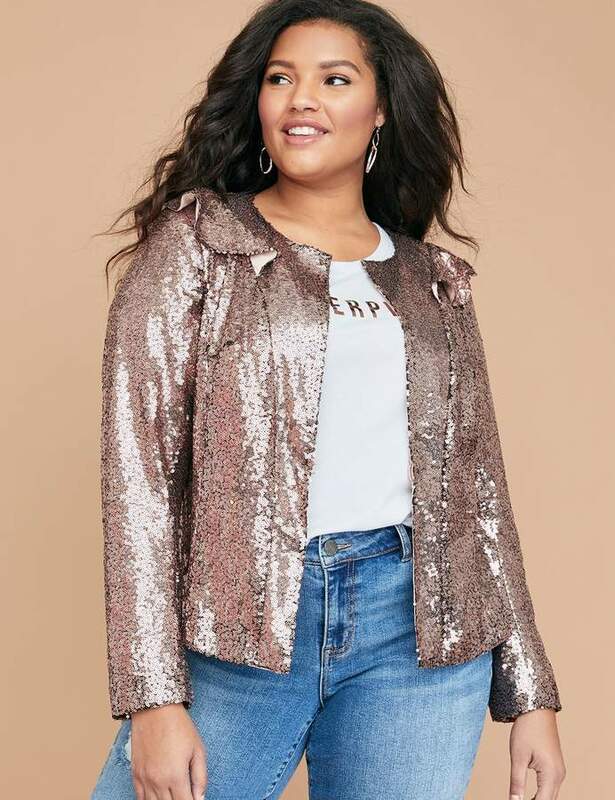 Sequin jacket from LaneBryant.com available in sizes 14-28. Fringe Strapless Dress from Eloquii.com available in sizes 14-28. Mock Neck Keyhole Dress at AshleyStewart.com available up to size 32. Does your intended recipient prefer to stay in during the cold, winter months? If so, check out these cozy, warm options for your favorite homebody. Cropped premium leggings from Torrid.com available in sizes 10-30. Plush leopard robe from Avenue.com available in sizes 14-32. 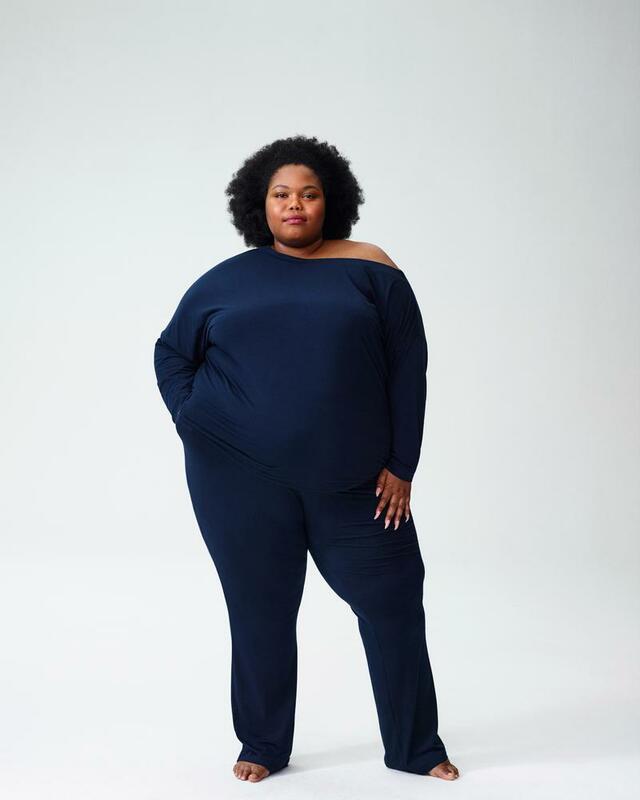 Mola Pants in Dark Sapphire from UniversalStandard.com up through a size 30. Two piece pajama set from WomanWithin.com available in sizes 14-40. Do you need to find layering options that can do it all? If you need pieces that look chic but feel great, don’t skip these versatile and playful jackets and coats! 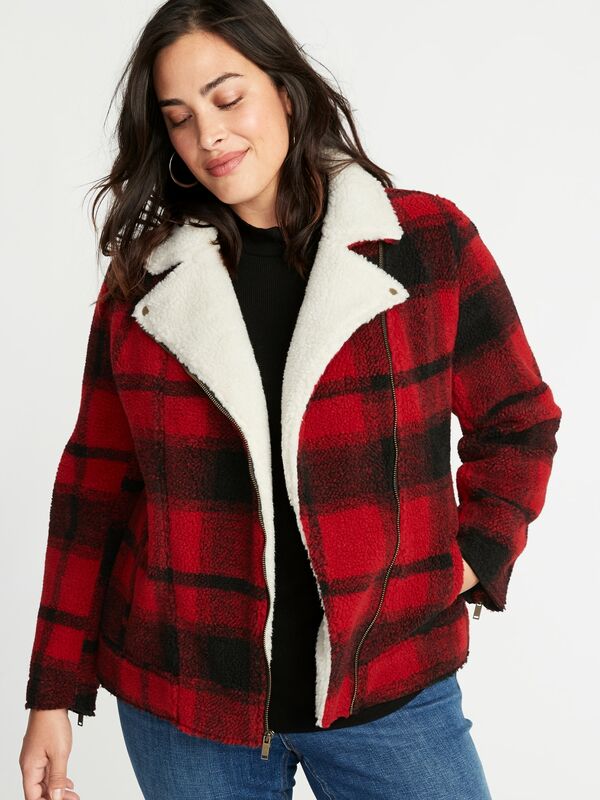 Plaid Bonded Sherpa Plus-Size Moto Jacket from OldNavy.com available in sizes 4X. 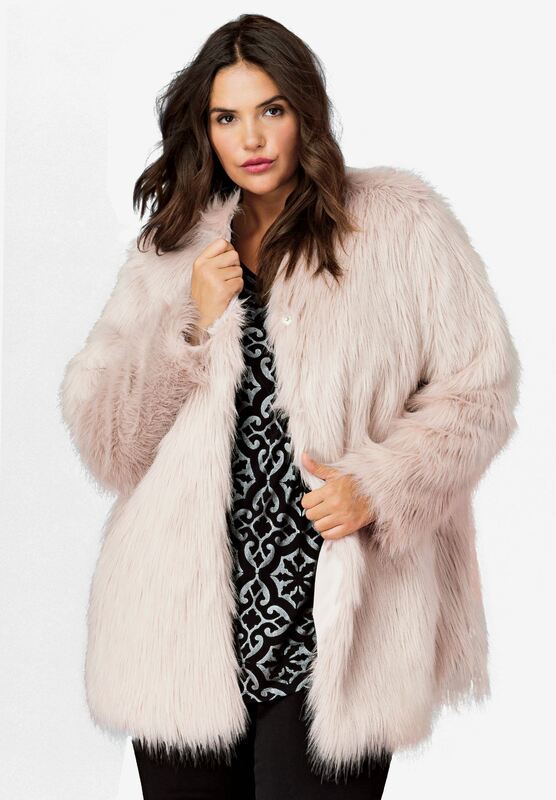 Faux fur coat from Ellos.com available in sizes 10-40. 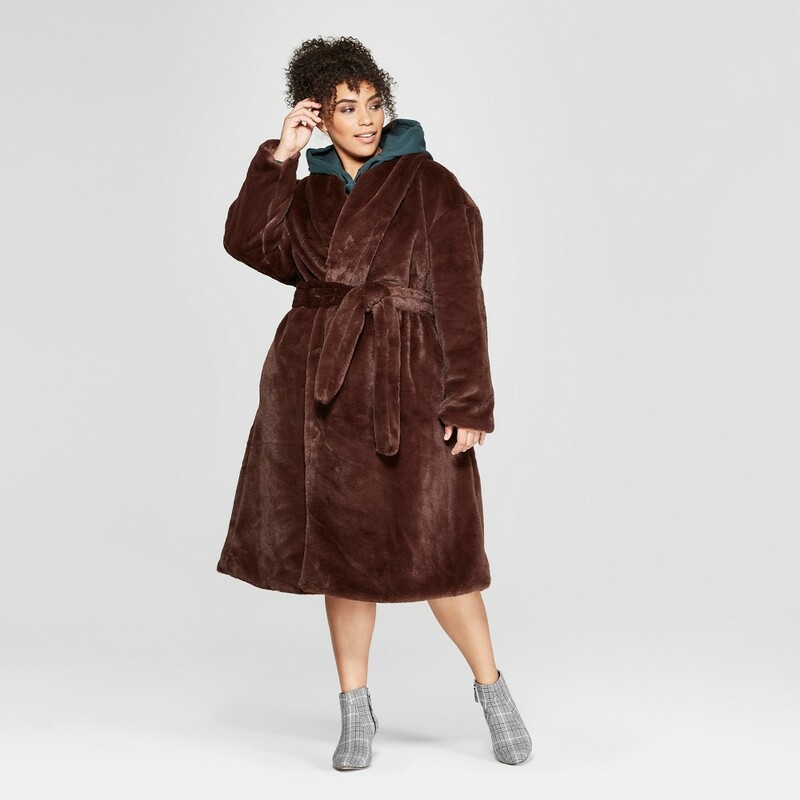 Plus Size Faux Mink Robe Coat at Target.com up through a 4X. Sooooooooo, what do you think of our finds? Found a few options for you and your loved ones? DId our list cover what you are looking for? Be sure to check out our other holiday gift guides for all of your shopping needs! We know you’ve been good, so what is on your holiday wish list this year?